Ten Spirituals for Low Voice and Piano. Composed by Various. 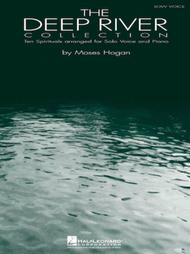 Arranged by Moses Hogan. Vocal Collection. Spiritual, Sacred, African-American. Softcover. 40 pages. Published by Hal Leonard (HL.740133). Features 10 spirituals as interpreted by acclaimed conductor and arranger Moses Hogan: Deep River • Never Said a Mumblin' Word (Crucifixion) • Give Me Jesus • He's Got the Whole World in His Hands • Let Us Break Bread Together • My Good Lord's Done Been Here • Somebody's Knockin' at Yo' Door • Sometimes I Feel like a Motherless Child • Walk Together Children • Were You There?. Includes a biography of Hogan and a foreword on the history of the spiritual. – Craig Jessop, Director, Mormon Tabernacle Choir. intricate enough that many pianists can't just be expected to transpose.
. I do a lot of singing but I didn't want to set the difficulty "too high." I think a person with intermediate skills will enjoy this collection. 20 of 45 people found this review helpful. and improved lower register. They didn't disappoint. 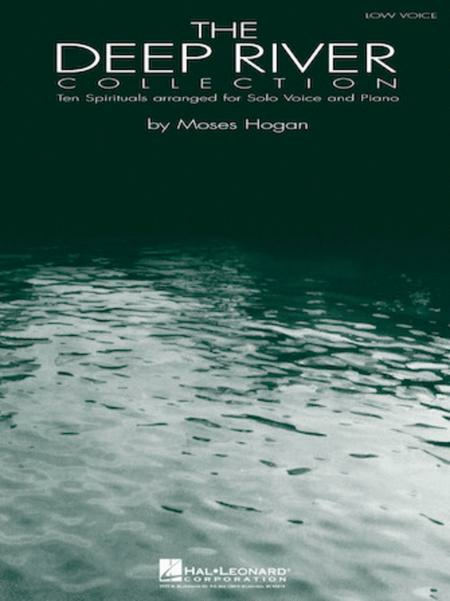 As a former professional arranger myself, I can really appreciate Moses Hogan's skill. The arrangements are outstanding - modern, but without losing that timeless feel of the spiritual. A book that should be in every singer's library! ; Sometimes I Feel Like a Motherless Child The range needed can be a bit of a stretch- either at the top or the bottom, depending on your range; but this is an excellent st of songs and is among my favorite sets. I just wish Mr. Hogan was still with us crankin' out the tunes.